Chances are, when the name Claude is mentioned in relation to art, you’ll think of Claude Monet. But there’s another Claude that came around before Monet, whose study of the effects of nature and light, in my opinion, are more compelling than the Impressionism pioneer. The Claude I speak of is Claude Lorrain. Claude Gellée became known as Claude Lorrain after the dukedom in northeastern France, Lorrain, where he was born in about 1600. Because he made his artistic career outside of France, people referred to him as Claude of Lorrain. 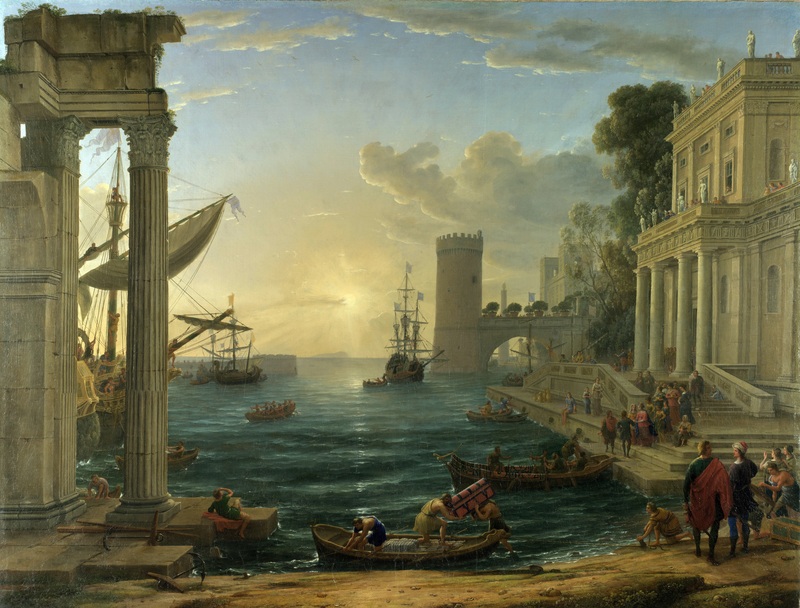 As is the case for many artists throughout history, the nickname stuck, and his name became Claude Lorrain, and now for short, simply Claude. He was the son of a peasant, and lived simply for most of his life even after establishing himself as a talented artist. His biographers described him as quiet but kind and disciplined. After his parents died when he was a young boy, Claude traveled to Italy, then the center of the art world. He would spend most of the rest of his life there, with brief stints Amsterdam and back in Lorrain. He was believed to have innate talent as an artist as he was not educated, nor did he receive any formal artistic training (from the Academy) up to his time of arrival in Italy. Click image to enlarge. 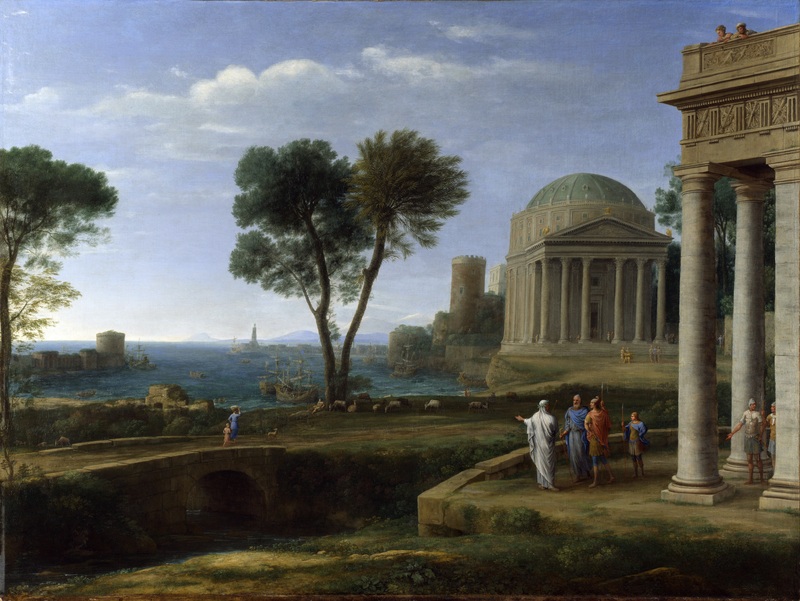 Claude Lorrain (French), Landscape with Aeneas at Delos, 1672, oil on canvas, 134 x 99.7 cm, National Gallery, London. Claude had a number of small apprentice appointments during a brief time in Naples and back again in Rome. He studied under a German artist named Goffredo Wals, and was believed to have apprenticed briefly for Agostino Tassi, a figure painter who was known for his achievements in perspective. Most foreign artists came to Italy to study for a number of years and would then return to their native countries, or gain professional appointments elsewhere. Claude remained in Rome, settling in a residential quarter with other artists, Italian and foreign, who also influenced his style. Click image to enlarge. Claude Lorrain (French), Landscape with Rest on the Flight into Egypt, 1666, oil on canvas, 157 x 116 cm, The Hermitage, St. Petersburg. During the late sixteenth and early seventeenth centuries there were many landscape projects in fresco carried out in Roman palazzo and villas. 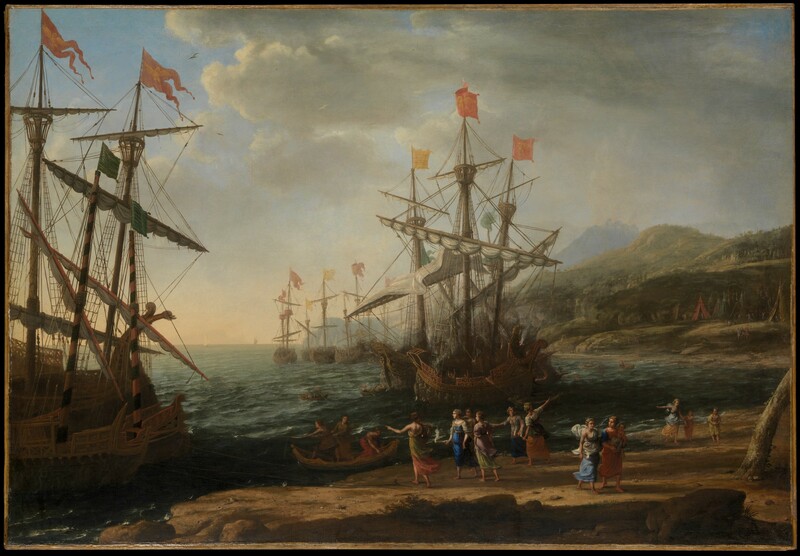 Agostino Tassi, whom Claude Lorrain apprenticed for, was a prominent artist of this medium and led many of these important projects. Claude carried out works in fresco through the late 1620s, and at some point after that began to receive commissions for oil paintings. He did execute frescoes as well at this time, but eventually made a decision to pursue oil painting instead. Some believe that Claude’s decision to abandon fresco painting was the result of an accident he witnessed while working on a Carmelite church in Nancy. 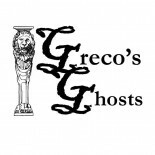 He saved the life of a gilder who fell from the scaffolding assisting with the fresco project, an episode which may have frightened Claude away from taking further fresco commissions. Another theory on Claude’s abandonment of fresco is his intense interest in the portrayal of the properties and effects of light, something he showed significantly since the early stages of his career. These effects are extremely difficult to achieve in fresco, something that likely helped Claude turn away from the medium. Click image to enlarge. Claude Lorrain (French), The Trojan Women Setting Fire to their Fleet, c. 1643, oil on canvas, 105.1 x 152.1 cm, The Metropolitan Museum of Art, New York. Most of all, Claude’s style was inspired by a close study of nature; he would often sketch outdoors for hours in the countryside, observing the changing effects of light. He took sketching trips to specific locations with other artists, the likes of Pietro da Cortona and Nicolas Poussin, a fellow Frenchman. Claude studied the way the sunlight would show over fields at different times of the day, its variations in brightness and color, and how shadows would move across the land. These careful observations of light were somewhat unique at this time in the history of art, but for Claude they created a meaningful aesthetic. They were influential to Romantic painters and other landscape artists such as Thomas Cole of the Hudson River movement. An unusual and splendid document exists that Claude himself compiled during his career – a book of ink drawings with corresponding notes on the dates and commissions of his paintings. Called Liber Veritatis by scholars, this book records the artist’s paintings beginning in the 1630s and was maintained until his death. It provides a rare insight into the evolution of an individual artist’s career and style. Click image to enlarge. Claude Lorrain (French), Embarkation of the Queen of Sheba, 1648, oil on canvas, 149 x 194 cm, National Gallery, London. Art in the seventeenth century was judged by its ability to convey religious, historical, or mythological narrative. 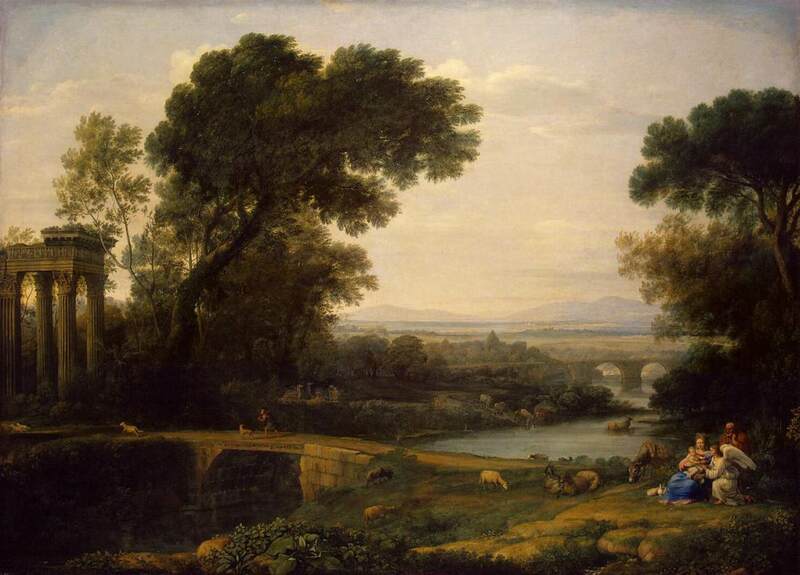 Landscape painting was not regarded as an important genre. A standard was held to artists to study anatomy and form as well as important literature of antiquity and the Bible. Claude Lorrain applied these conventions to his ideal landscape paintings, often placing the subjects of biblical or mythological narratives in the foregrounds of a vastly spanning landscape Claude’s classical approach to landscape became the trademark theme in his work. His figures are small and at times almost incidental in the gradeur of the overall vistas of Claude’s compositions. They are there to supply a subject matter, a narrative to supplement the landscape which is of most concern to the artist. The landscapes are idealized, although based on studies of nature, and often contain compositional elements such as trees, rocks, or roads to frame the vista. These elements direct the eye to the horizon where the artists’ careful shading of color and light creates the illusion of space. There was an increased interest in landscape paintings in the seventeenth century, but it still was a genre not as highly valued as figure painting. It was therefore somewhat risky for Claude to continue his pursuit of landscapes, but his cabinet paintings eventually became a stable source of income for him. He was able to treat the same thematic material with great sensitivity. Very interesting, Kristy. I like the nature aspect. This entry was posted on November 29, 2014 by KristyDurk in Baroque, European, French, Italian, Landscape, Neoclassicism, Seventeenth Century and tagged Agostino Tassi, Baroque, classical, Claude Gellee, Claude Lorrain, Claude Monet, France, Goffredo Wals, Hudson River, idealized, Italy, landscape, neoclassical, Nicolas Poussin, panorama, Pietro da Cortona, Rome, seventeenth century, Thomas Cole, vista.